Tony Campbell 's group NiteFlyte released their first album "30.000 Ft" at the Passion Jazz label (1997), followed by "Ascension" (1998). The group signed both albums to Instinct Records, where the album was released 1999 under the title "Ascension". After a long hiatus the group is back with their new album "U-Turn", which will be released in July 2003 . Tony Campbell has assembled professional musicians as Simply Red guitarist Mark Jaimes, legendary Philly soul diva Jean Carne, vocalists Chris McDonald, Bernadette Powell and Jill Francis, saxophonist Tom Richards, keyboardist Duncan Millar and drummer Chad Moody. How is the moment, when you are Feeling Good. Hard to describe in words, musicians have it better. An easy played guitar on Hip-Hop-grooves, a muted trumpet and a lot of uplifting mood, that's a flavored beginning. Where Will She Go features the female singer Bernadette Powell. A huge undiscovered talent with a blessed voice. A first vocal glimpse, hopefully more in the future. The term Far From Home mediates loneliness. Tom Richards' sax paints these depressed spirits in warm tones. Retro music is very fashionable nowadays. Jean Carne's soulful interpretation of If You Believe combined with 70's beats makes no difference. So Much is the next title. So much what? So much saxophone for example? Foremost a Smooth Jazz piece. Deja Vu is a kind of memory deception at which the impression arises that you have already seen something in the same way before. This time it's a song of Bernadette Powell on the paths of Sade. Chris McDonald and Jill Francis are singing Come Back in a vibrating spirit-stirring duet. Miles Above is a slow flowing contemplative piece. No crying for attention. I don't have to tell you anything about Breezin'. It's the classic Smooth Jazz tune in general. All of you will know George Benson's version. He became a pop superstar with this album. Nevertheless the potential of the melody makes this tune irresistible especially by Tom Richards' engagement on sax. Chris McDonald shows more of his interesting voice on Sunshine. The title-track U-Turn is featuring Duncan Millar. Duncan is an excellent musician who proved his talent in his solo albums "Dream Your Dream" and "Good To Go". A short interview with Duncan and a review about his album "Comin' Thru" are only a small deference to this great artist. Parr Street profits by the vivid drum playing of Chad Moody, who gives this tune a propelling twist. I often observed this effect on gigs. The album is completed by a remix version of If You Believe. The disco-beat is replaced by a more agreeable rhythm. 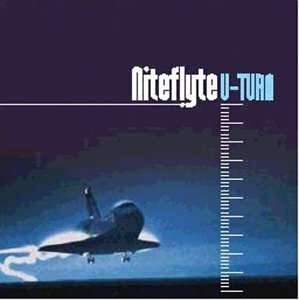 With this album NiteFlyte are walking on a safe path. Recommendable for all friends of Smooth Jazz.